I cannot remember a movie about Jesus that I really did not like - I did not see "The Last Temptation of Christ". And I liked the work that these folks did on "The Bible" miniseries on the History channel. So I think that I was predisposed to like this movie. I think that some will not enjoy the movie that much if they do not enjoy a reimagining of the gospel story. If it upsets you to see Jesus enter Lazarus' tomb and wake him with a kiss then you might want to stay away from this movie. But if you want to share the story of Jesus with folks that need God then this movie might be for you. I cried and was moved by many scenes. The love of Christ seemed to bleed through the movie and communicated his compassion with great imagery. 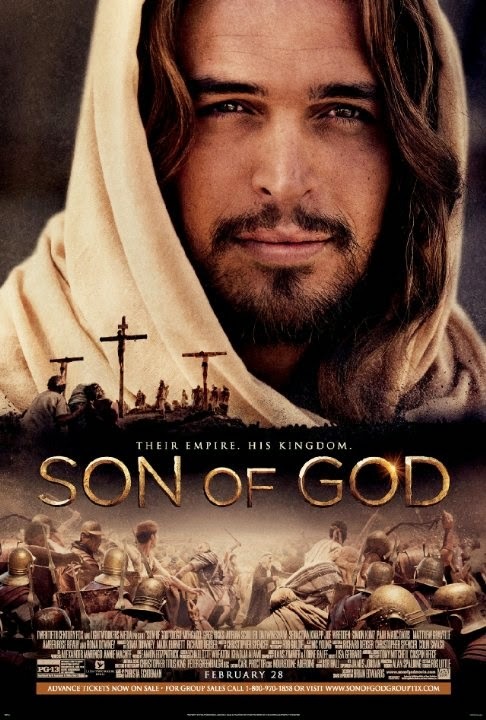 I loved the way that Diogo Morgado played Jesus. Not the dour Messiah of the "Jesus of Nazareth" miniseries but a friendly smiling savior that seemed to genuinely enjoy being alive. I really liked the movie and, on a scale of ten, give it ★★★★★★★★. I haven't seen it yet. Glad you liked it. I did like the miniseries on the History channel. I thought they did a good job... I enjoyed it and was touch quite often and love the caring, loving Jesus.